One of the most important things players need, if they want to win at Blackjack, is an effective strategy. It is essential to understand its main principles in order to apply it correctly and make it work in their favour. One of the most used strategies is the card counting one, along with the basic strategy. As both methods are correlated to some extent, players should take advantage of the knowledge and information they provide them in order to achieve the desired win. The basic strategy shows them the basic rules of the game and the best possible moves in a particular situation according to their hand’s total value and the dealer’s up card and therefore, it is compulsory for them to know it inside out. The main principle of card counting is to determine the likelihood whether the upcoming cards will be beneficial for the players or not. In this sense, in order to manage to predict them in the most accurate way, gamblers need to use a reliable card counting system. Additionally, this way they will be able to keep track of the cards successfully and have a better organisation and discipline on the table. Card counting systems are especially designed to help players grasp the pattern the game follows and use this knowledge to become better players. 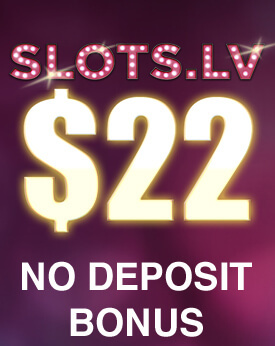 It gives them the valuable opportunity to gain advantage over the casino and increase their chances of winning. Another purpose of the card counting system is to help players rule out the cards that have already been dealt. The so-called effect of removal indicates that every card’s removal influences the house edge to some extent. Card Counting systems give players the chance to alter the basic strategy accordingly and thus, make better decisions for their bets and moves. This is the reason why it is really important to have solid knowledge of it in order to become a proficient card counter. Thanks to the card counting systems, players are able to decrease their money losses significantly by adjusting their wagers in the most appropriate way. With it, they have the chance to decide whether to increase or decrease their bets, based on the information the cards on the table give them and therefore, prevent themselves from losing money. This is probably the most important benefit they gain from card counting systems and this is the reason why this strategy is used predominantly by serious players who know what it takes to win. A reliable card counting system doesn’t guarantee a 100% chances of winning and players shouldn’t expect success on every single hand. Its purpose is to give them a valuable information which will allow them to make matter choices and thus, significantly decrease their chances of losing. It teaches them how to take advantage of the shoe by taking into account whether it is rich or poor in power cards. Moreover, by using their knowledge from the basic strategy, they will be able to improve their game greatly and finally reach their goals. As card counting is one of the most used strategies by proficient players worldwide, it has been greatly developed over the years. Nowadays there are many variations of it which gives them the opportunity to choose the one that suits them best. Regardless of their different rules and patterns, the main idea always remains the same – to help players take advantage of the information the cards on the table provide. However, they should be very considerate when deciding whether a particular variation is worth a try as each one takes a lot of time to be learned and if it is not efficient enough it will cost them money and all of their efforts will be in vain. Moreover, some of the available strategies are very hard to be understood and it is almost impossible to recall them in the noisy and crowded casino. Many card counting systems use the principle of assigning values to the cards as it has proven to be very effective. The hi-lo system is rather a simplified one in comparison to the rest of the card counting variations. However, players need to bear in mind that complicated and advanced strategies might be more accurate, but harder to be recalled in a casino setting. Failing to do so under any circumstances, will prevent them from making the best choices and will most likely result in losing the hand. When it comes to gambling, many players share the opinion that the more simplified one strategy is, the better chances they have to apply it when needed. The phrase level of count is often used to indicate the difficulty a particular variation of the card counting strategy has. It also shows the ratio between the assigned values of the high and low cards. For instance, according to it, the Hi-Lo system is level one and the Halves is level three. One of the well-known card counting strategies is the so-called Hi-Lo system (High-Low system). It is considered to be a very reliable method, easy to be comprehended and used which places it among the most famous ones. The reason why it’s so effective is that it gives a new value of the cards which can be positive, negative or zero. This way card counting becomes easier and quicker and players are able to follow the cards successfully. When they start keeping track of them, they should adjust their value according to the system. The strategy offers players the following plan – the cards with a value from two through six get a plus one, from seven through nine get a zero and the rest of the cards in the deck – minus one. Red Seven is another level one system which means that it is more simplified and easy to grasp. This method contains the basic card counting principles and players can be sure that they will be able to understand how it works. Its simplicity gives them the chance to recall it easier when needed and at the same time it provides them with a reliable and accurate plan. Thanks to it, they have the chance to turn the tables in their favour and gain advantage over the casino. The system uses the famous counting method of assigning a specific value to the cards. The number seven, as the name of the system hints, plays a significant role. The reason why is that when players have a red seven it gets plus one and when they have black seven – zero. The plan for the rest of the cards is exactly the same as the one for the Hi-Lo system. KISS (Keep It Short and Simple) is a card counting method which has three variations – KISS I, KISS II and KISS III. The updated versions are better than the previous in terms that each one gives players higher advantage over the casino. This strategy doesn’t involve difficult mathematical equations and it is quite easy to be understood properly. In comparison to the rest of the methods, it is moderately simplified which makes it suitable for inexperienced players. The reason why is that they don’t have to count half of the card in the deck as they are omitted on purpose from the system. This way counting and keeping track of the cards on the table is much more easier and the chances that they will make a mistake are significantly decreased. K-O (Knock Out) is a card counting strategy which resembles the Hi-Lo one and it is a level one system as well. It uses the method of assigning a particular point value of the cards in the deck which helps players keep tract of them more efficiently and easily. The cards according to this system are counted the same way as for the Hi-Lo one. The only card that is assigned with a different value is the number seven as this time it gets plus one instead of zero. This is a strategy that is easy to be learned and therefore, beginners can take advantage of the benefits it offers, providing that they manage to apply it correctly. It is really important that they understand the motives behind this system as this will help them remember the assigned counting value and use it when needed. Omega II is a level two card counting system as it is more complicated than the above mentioned ones. Even though its patterns take more time to be fully understood and memorised, at the end the efforts players put will be worth it. This system has proven to be very accurate and with it, they can increase their chances of winning significantly. It provides them with valuable information which gives them the chance to make wiser decisions regarding the amount they bet. Whenever players have the opportunity to gain advantage over the casino and increase their profit, they should take full advantage of it. There are also a lot of subtleties and useful tips, they can learn in order to improve their game and strategy and achieve the desired win. Hi-Opt (Highly Optimum) is a card counting system which has two variations – Hi-Opt I and Hi-Opt II. Both systems use the same foundation and principles, the difference is that Hi-Opt II is the updated version and as such, it has new point values and it’s level two. Hi-Opt I is level one but it is moderately complicated in comparison to the rest of the strategies from this class. Both systems are more difficult to be learned than the others which makes them inappropriate for beginners. In order to manage to comprehend them, players need to be experienced and have knowledge regarding the rest of the systems and strategies. Of course, if they succeed in understanding it and applying it correctly during the game, their chances of winning are incredibly high. Zen Count is another level two card counting system which was especially developed to help players gain advantage over the casino by using more simplified assigned point values. However, it is still moderately complicated and therefore, it is not the best option for beginners. The Zen system has some subtleties and this is the reason why it will be best for players to take their time to practise it. If they are not able to recall the system in the blink of an eye at home, then they should refrain themselves from going to the casino. The famous method of error and trial is to be avoided when it comes to gambling as it can cause them to lose significant amount of money. The only way, players have the chance to win and make a profit is if they know the card counting system like the back of their hand. Halves (Wong Halves) is a very complicated card counting system whose level of count is three. It is suitable for experienced players who have been dealing with other card counting systems before and have solid knowledge and understanding of their main principles. If applied correctly, it gives them an accurate count of the cards in the deck which enables them to make wiser decisions for their bets and moves. If this method is combined with the basic strategy, it can result in the desired win. The reason why this system is considered to be more complicated is that some of the assigned values of the cards are in fractions which makes the counting more difficult. If players want to take advantage of this system, they need to be ready to dedicate a lot of time and efforts in order to make it work. Over the years, many card counting systems have been developed and improved in order to provide better chances for players to win at Blackjack. Some of them are quite hard to be understood and applied, others are more simplified. 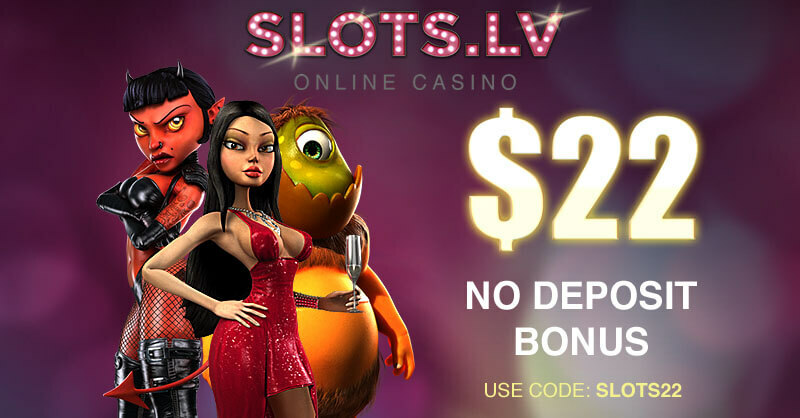 Regardless of their type and patterns, they all aim at one thing – to provide players with a reliable method which will help them make better decisions and gain advantage over the casino. Whichever variation players decide to follow they need to be familiar with the basic strategy if they want to become proficient card counters as both strategies are correlated and the card counting system cannot work properly without it.